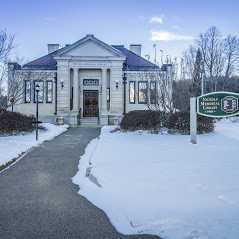 The collection of the Nichols Library includes works of popular and classic fiction, a broad collection of popular non-fiction subjects, books for younger readers and materials of historic interest. The fiction collection contains over 5,000 tiles. It includes prize winners, recognized classics, bestsellers and popular genre titles. A small selection of books from the original collection is till held by the library. Our non-fiction holdings contain over 4,000 titles on a range of subjects that include history, biography, self-development, social issues, popular science, and the arts, as well as practical subjects like cooking, gardening and home repair. Our historic collection includes over 300 books on New Hampshire history, towns, and places of interest. Two journals, Granite Monthly and Historical New Hampshire, contain profiles of NH towns, persons and events. The library’s archive and clippings file contains material of interest on the history of Center Harbor, the Nichols Library, and Belknap College. For young readers, the library has a collection of over 3,000 titles than include read-aloud picture books, step-into-reading stories, chapter books, and longer stories for middle readers and teens.